For me, there’s nothing quite as delicious a quick sauté of bok choy in olive oil and garlic finished with some hot pepper flakes. Maybe that isn’t your cup of tea, but bok choy can also be used fresh, stir fried or lightly steamed and, as with all dark leafy greens, is packed full of vitamins and minerals. It’s also easy to grow your own. 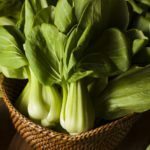 If you’re a fan of the green as well, maybe you’re wondering “when do I plant bok choy?” Read on to find out when to plant bok choy and other information regarding bok choy planting time. When Do I Plant Bok Choy? Bok choy is a cool weather, cabbage-like vegetable that is grown for both its thick, crunchy white leaf ribs and its tender, green leaves. Because it thrives in cooler temperatures, the answer to “when to plant bok choy” is either in the spring or fall. 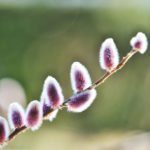 This allows you to extend your fresh supply of greens throughout much of the year. 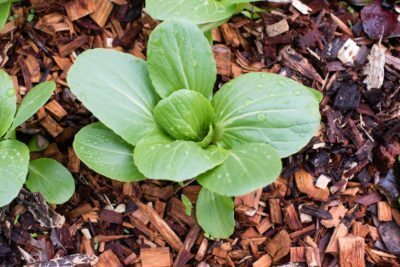 Because bok choy tends to bolt once the warmer temps of summer arrive, plant it early in the spring, close to the date of your region’s last frost. You can either sow seeds directly or transplant seedlings. Bok choy can be grown in the garden or in containers. For succession spring bok choy planting, plant a few seeds each week through April. That way, the bok choy won’t mature all at once and you will have a continuous supply to harvest. Bok choy can also be planted in the late summer to early fall when temperatures have cooled. 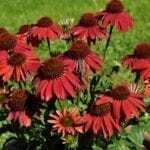 If you start them in the late summer, be aware that they will need extra care. Keep the soil moist and provide them with shade during the hottest time of day. 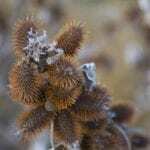 Fall planting, depending upon your area, can occur from July through August. If you are in a sun beaten region, plant this crop closer to fall and be sure to provide the plants with shade. For either bok choy planted in the fall or the spring, the optimal soil temperature for direct sown germination is 40-75 F. (4-24 C.). The soil should be well draining and rich in organic material. Space the seeds 6-12 inches (15-30 cm.) apart. Keep the bed moist. Bok choy is ready to harvest in 45-60 days.